autonomous robotics and also legged robots. In particular we have designed the Acroban humanoid robot in collaboration with INRIA Flowers team. 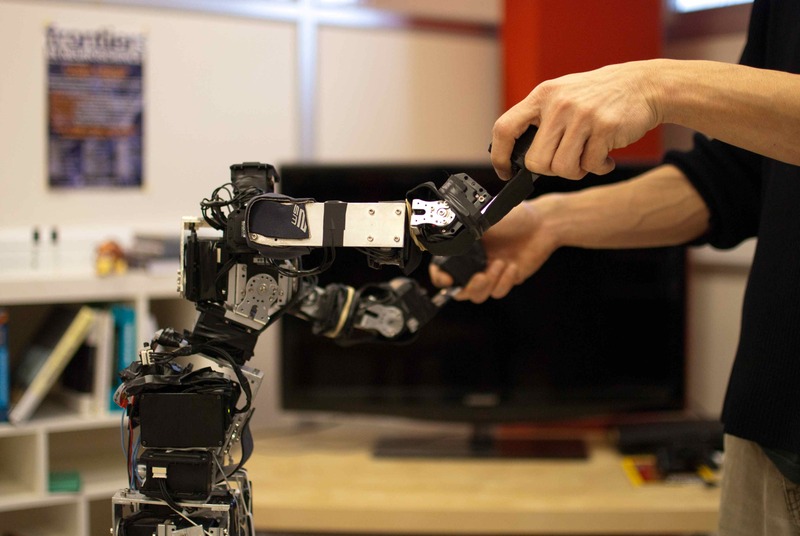 The project is strongly linked with our friends of INRIA Flowers team, which deals with developmental and social robotics, and especially Pierre-Yves Oudeyer, Jérôme Béchu, Paul Fudal and Matthieu Lapeyre. SigmaBan Football Club (Rhoban's football robot team) participated for the first time to the Robocup'2011 (Humanoid kid-size league). Acroban will appear at Laval Virtual 2011 (6-10 april 2011). In IEEE/RSJ Int. Conference on Intelligent Robots and Systems (IROS'2010) – Video Session (Taipei 2010).